This toilet tissue is embossed with a decorative design for softness and durability, is virtually lint-free and is safe for all septic systems. 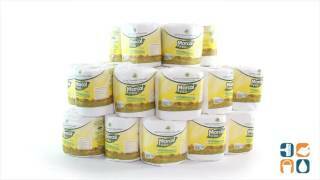 Marcal toilet paper rolls are individually wrapped for protection from dirt, dust, moisture and water damage. 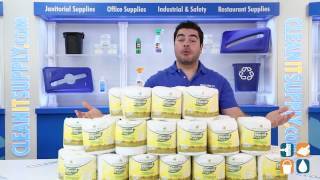 This Marcal toilet paper meets EPA standards, containing 100% recycled material with a minimum of 60% post-consumer. Sunrise toilet paper is two-ply, white and the sheet size is 4.3” x 3.66”. Each roll has 240 sheets. Includes 48 rolls so you'll always have refills on hand. Ideal for home or business. Order yours today. Buy in bulk and save big!